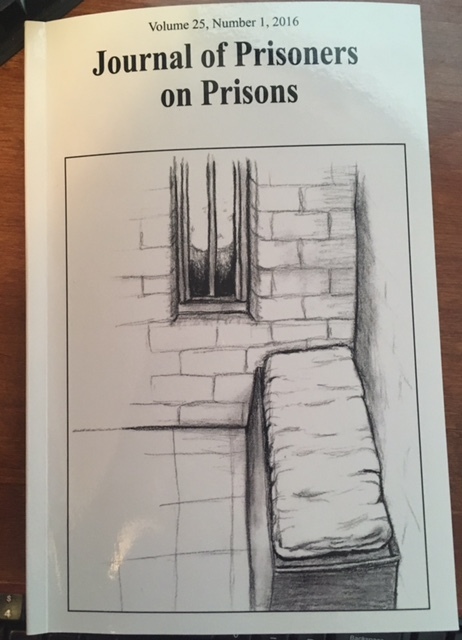 I have arrived late to the smorgasbord of the Canadian compilation of essays written by and about prison, conditions, rehabilitation. But I’m delighted to be at the table. I’m reviewing this one issue in the hopes that many of you will reach out and get a copy ($15), subscribe ($30 or inmates $15), or encourage a Loved One to submit an essay. Editor Prof. Justin Piche and several students, formerly incarcerated, have joined forces to allow the statistics, the personal stories, and the insights of those Inside to inform those Outside who are interested in the disgrace we refer to as a criminal “justice system.” It is neither “just” nor a “system,” actually. This issue begins with a requiem for several former contributors; an ethnographer who died in prison despite working against violence, and an inmate who was finally confined to solitary confinement for having butter in his cell—he had a crippling stroke while in that hole. I mention this issue’s brief introduction to show how true to its mission this publication is. The editors know the contributors. They follow their lives and provide both a forum for discussion and also that personal touch from the outside world. Every person Inside needs that touch. 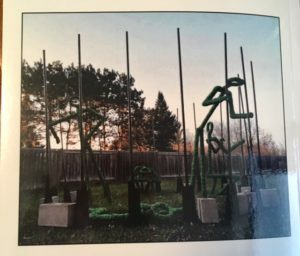 This issue, for instance contains six essays about prison that are followed by a professor’s response to them. Then, three curious and fascinating reference articles introducing inmate-helper organizations. (a book club, a campaign for the release of aging prisoners RAPP), and writer who tells the condensed stories of inmates). Finally, a book review and a tip-of-the-hat mention of the artists who work grave the front and back covers. Tara Perry and Colleen Hackett collaborated on an essay that looks at dominations and oppressions inside U.S. prisons. 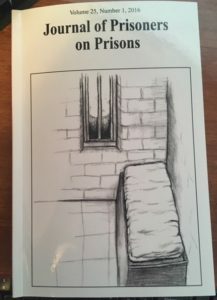 One author is an inmate; the other a feminist criminologist., Their research and writing are thus informed personally and academically into a blistering review of what passes for “rehabilitation” in women’s prisons. Other articles address hepatitis, prison “medical,” living among the mentally ill, prison violence, for-profit prisons. As you see, these journals contain so much information that the Outside world needs to learn about, accept as fact, and work to change. Let’s work to make the publication available!